New to spraying? Tags are a cheap and easy way to begin. 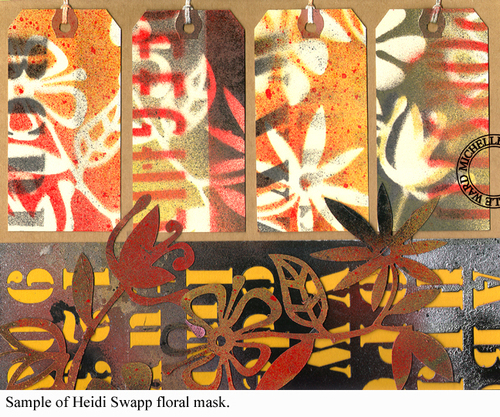 The floral is a Heidi Swapp mask, found at most scrapbook stores.